See where I'll be getting married this fall! 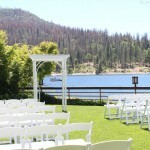 The Pines Resort in Bass Lake, CA is my dream lake wedding venue. Take a tour with me.